One of our annual fall traditions is to watch It’s the Great Pumpkin, Charlie Brown! This is the first year that the triplets are actually really “into” pumpkins and (ever so slightly, but mainly cute) spooky activities). I think that they would watch It’s the Great Pumpkin, Charlie Brown on repeat if I would let them. And their favorite movie-watching treat? Popcorn, of course! Let’s dress up our popcorn box for the movie watching occasion. 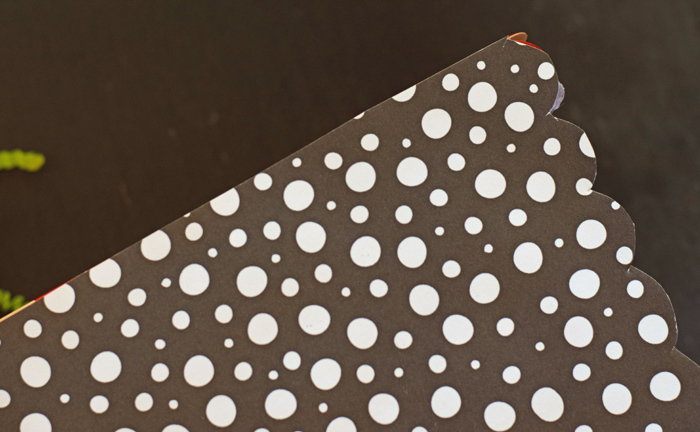 Cover the popcorn box in the black patterned paper, gluing it in place. You can do this with the box assembled or unassembled, whichever that you find the easiest. Glue the green basket filler along the bottom. 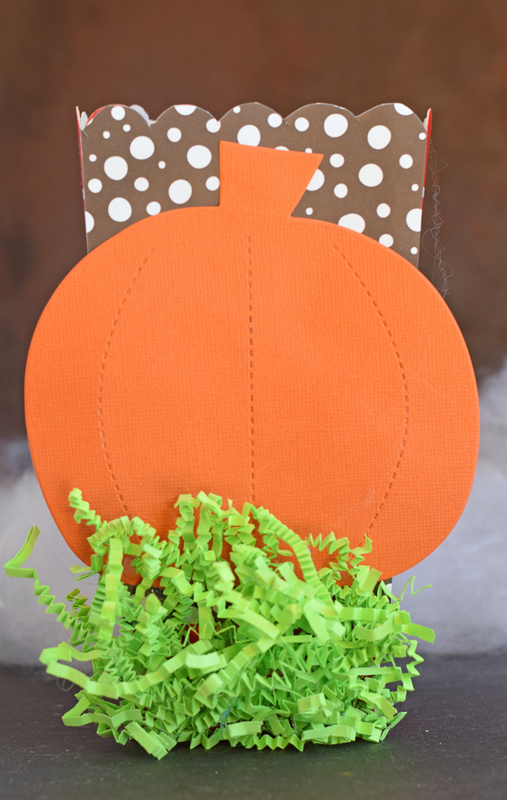 Glue the pumpkin on the box, tucking the bottom of the pumpkin in the top of the grass a bit. 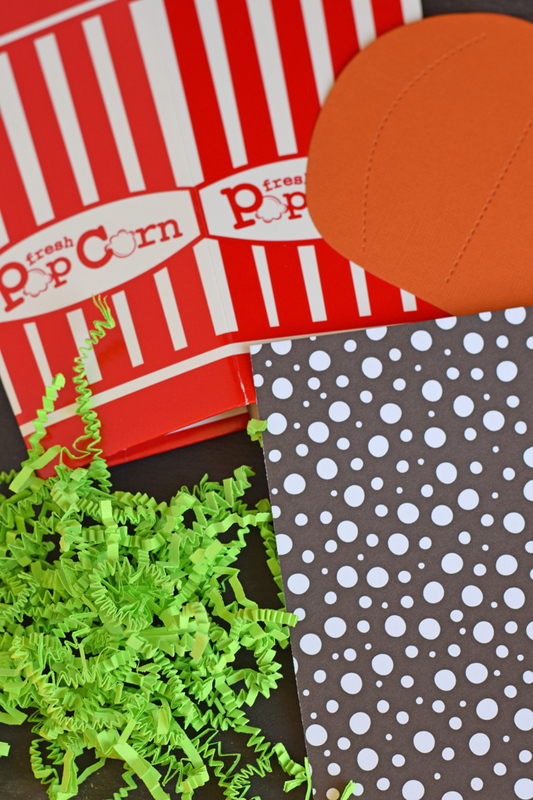 Looking for more popcorn box party ideas? Check out a few of these! Great use of the box elements. Fellow Popcorn Box crafter visiting from Try it – Like it. 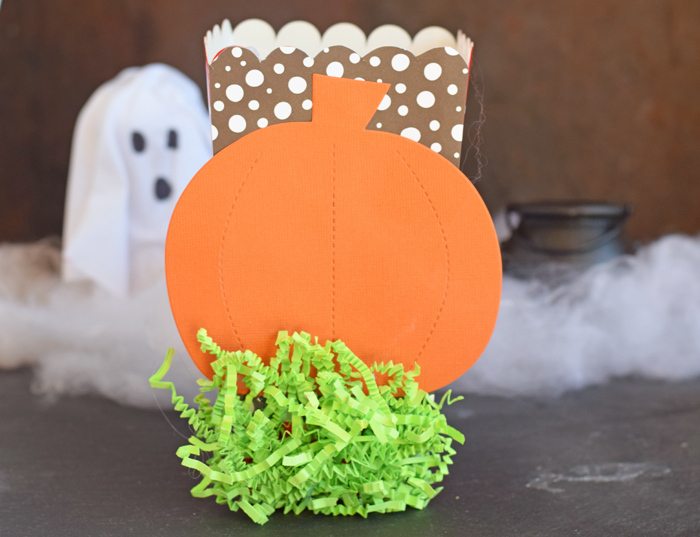 So cute and I love how it goes with your box from last year!